The 2016 Bioinspiration & Biomimetics article Why is it difficult to wash aphids off from superhydrophobic kale? answers the age old question, why is it difficult to wash aphids off of kale? Or is that more of a new age question? It's because, as the name suggests, superhydrophobic kale has a superhydrophobic exterior, giving it the super power of fearing super water. 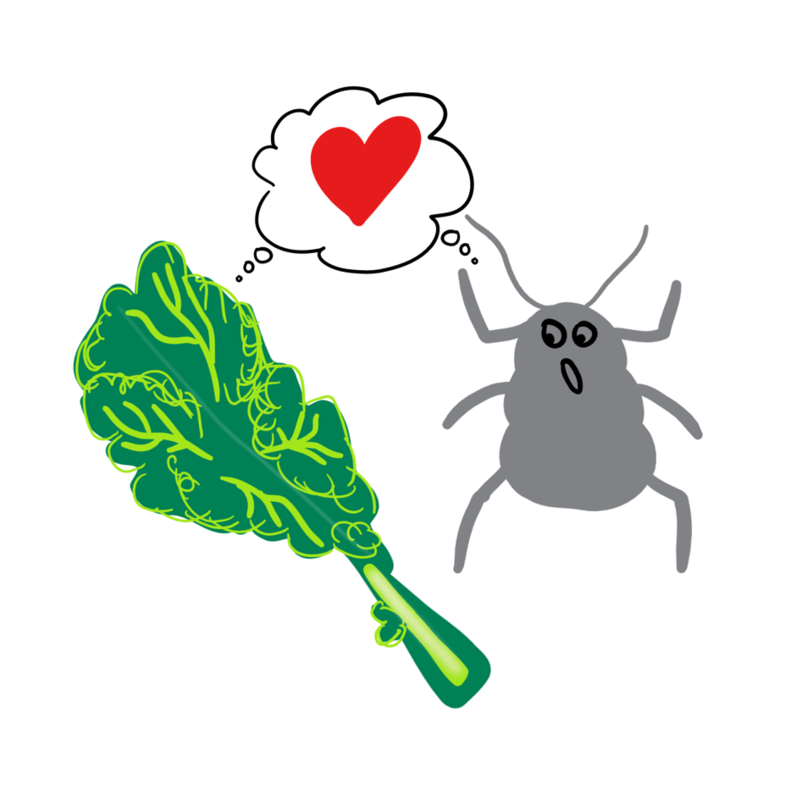 As it turns out, cabbage aphids also have superhydrophobic exteriors, and when the aphids land on the kale, it's as the age old adage goes, "superhydrophobic exteriors attract superhydrophobic exteriors," and then it's as if the two superhydrophoical entities become one. I've always said, there is no bond greater than that between a superhydrophobic kale and a superhydrophobic cabbage aphid. That is a bond that no water can ever break. But it turns out that a steady stream of air can. So... it's not actually that strong. It's like the bond between the somnambulist and the somnambulist's cousin. Hosing them down won't help. Try air.